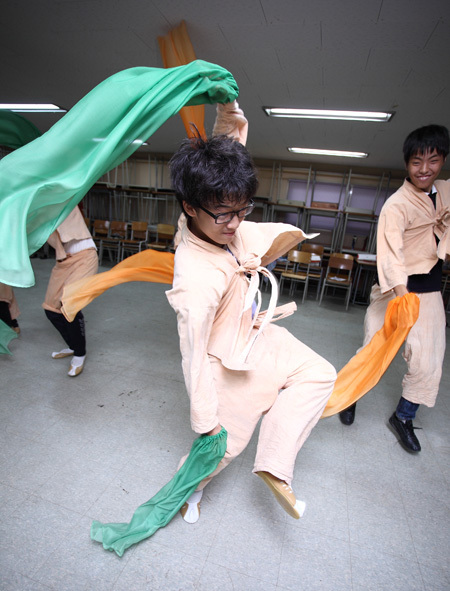 Student of Tongjin Middle School, Gimpo, will take part in World Dance Day on April 29. The urge to dance is a natural impulse ― dancers dating back to earliest recorded history have celebrated life with visceral body movements, connecting with the world and feeling its energy. Every year on April 29 millions of dancers in over 150 countries fete World Dance Day. For the first time, South Korea will host official events for the occasion established by UNESCO’s International Dance Council (CID). This year CID proposes taking a step back in time and reconnecting with nature by celebrating in open spaces. Streets, squares, parks, stadiums, beaches, parking lots, clearings ― anywhere under the sky ― will turn into a special stage for everything from elegant pirouettes by ballerinas to lawless head spins by amateur b-boys. Under the auspices of the Ministry of Culture, Sports and Tourism, events will be held not only in Seoul but also Incheon, Gwangju and Busan, according to local organizers. At 7 p.m. at Seoul Plaza, passersby will be able to enjoy a modern “dance play” version of “Jesus Christ Super Star” by Yuk Wan-soon, a gala presentation by the Kim Sun-hee Ballet Company and jazz dancing by Poz Dance Theater. But as Kim Young-soo, chairman of the organizing committee, said “anyone will be entitled to dance,” non-professionals will give performances, including character dances by Sunhwa Arts high schoolers and mask dance sequences by middle schoolers from Gimpo. “World Dance Day is about breaking down barriers, stereotypes about dance genres and the art of dance in general. We invite anyone and everyone to come join in the festivity,” said Kim. In the past Korea observed World Dance Day with a festival in 1985 under the direction of Kim Mae-ja and last year saw a green-themed event, but such a large, intercity celebration as the upcoming event is unprecedented. The festivities will continue into the night of April 29 with “dance parties” beckoning passersby nationwide. In Gwangju, Kim Mi-sook’s traditional dance troupe, as well as top regional companies including the Gwangju Modern Dance Company and Gwangu Metropolitan Dance Company, will perform at the outdoor Youth Square. Also taking the stage are students from Gwangju Arts High School. In Busan, anyone interested in dance will be able to take part in not only performances but also workshops at the Geumjeong Cultural Center. “For the greater part of the history of mankind, dance took place outdoors. People would gather in forest glades, village squares, churchyards, or on threshing floors, to enjoy dancing for hours on end. Nowadays, dance mostly takes place in ballrooms, clubs, theaters, school halls, studios and discotheques,” said Alkis Raftis, the president of CID, in a statement. Ahead of World Dance Day, Incheon Art Platform will host a special community workshop providing therapeutic dance exercises. The workshop, titled “Mother and Daughter,” which will be held from today until April 26, will allow family members to reconnect with one another. Finnish choreographer Hanna Brotherus will lead the event. Parallel to World Dance Day, the Seoul Section of CID will host a special international dance project. The second edition of the event here will bring together artists from Korea, China, Japan and Hong Kong to fuse different dance traditions into something new. The cross-cultural project will be showcased on World Dance Day at Gwangjin Culture & Arts Center and Naru Art Center in Seoul. 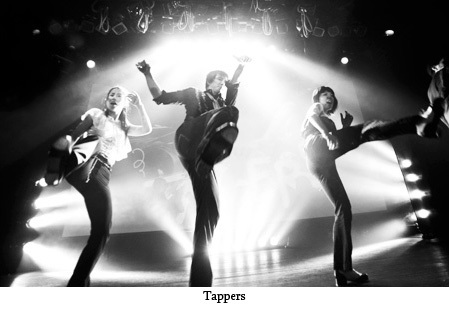 For more information, visit www.dancedaykorea.org or call (02) 3216-1185.